With iPhone camera, it detect your face and rotate fan to you. It use HTML5 MultiMedia to use iPone camera. Only 3 Steps is here. Connect Small USB Fan to USB <-> Pin header, and wired it to obniz. Connect obniz to Power supply. With HTML5 MultiMedia , get your camera data. 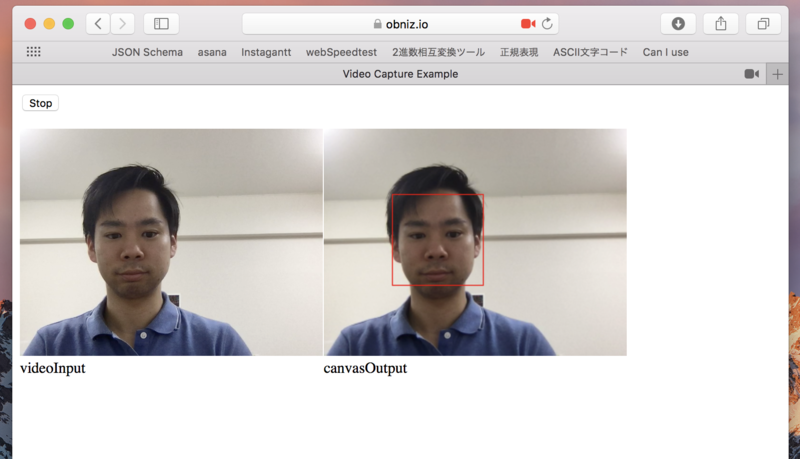 Face detect with camera data and OpenCV. 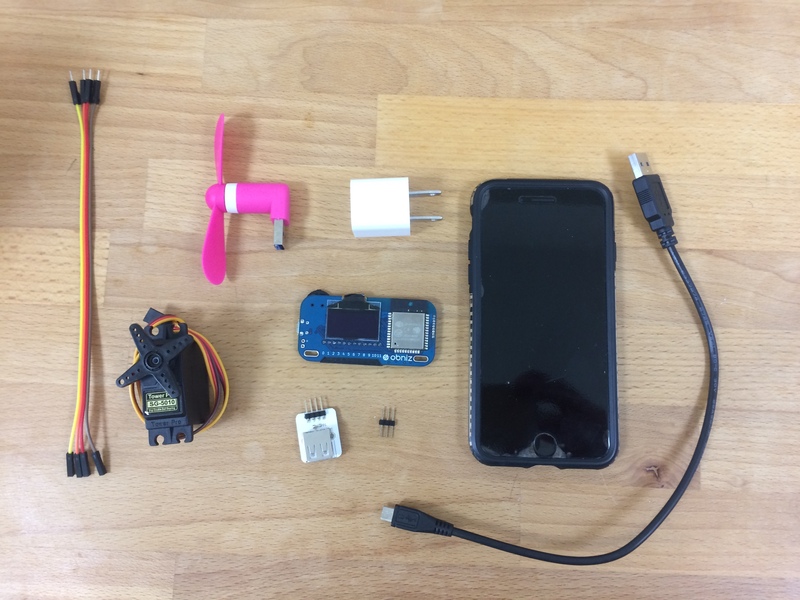 Detect x position of your face and rotate the servo motor. 1. With HTML5 MultiMedia , get your camera data. Use navigator.getUserMedia() , browser ask user to permit. It is only HTTPS protocol . 2. Face detect with camera data and OpenCV. haarcascade_frontalface_default.xml is face data, and we use for detect face. // schedule the next one. // schedule the first one. 3. Detect x position of your face and rotate the servo motor. 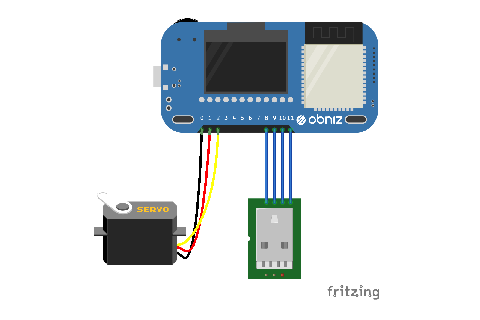 Only need is that where you wired obniz to servo motor and usb, and how rotate the servo motor. new Obniz("OBNIZ_ID_HERE"); is the code of connection to obniz. <canvas id="canvasOutput" width=320 height=240 style="-webkit-font-smoothing:none"